At the base of Cheyenne Mountain the southwestern area is home of Colorado Springs five diamond Broadmoor hotel. 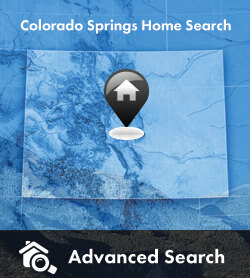 The area is close to the Fort Carson Army post, the Cheyenne Mountain Zoo, Seven Falls, and Cheyenne Canyon. The major neighborhoods in the southwest include Skyway, Stratton, and the prestigious luxury homes in the Broadmoor Resort Community. Elegant luxury estates with exceptional views can be found in this area. If you are looking for a custom home, golf course community, gated community, or a luxurious high end property with breathtaking views enhanced with an elegant lifestyle, the Broadmoor is for you and is highly sought after real estate in the Colorado Springs area. With an abundance of wildlife, aspen and pine trees, gorgeous views, outstanding schools, abundance of shopping, restaurants, entertainment, and elegant lifestyles, make the Broadmoor area and the entire southwestern area of Colorado Springs a true treat for just about any homeowner. If you are interested in a new construction home, resale homes, land, or luxury homes in the Broadmoor area, Skyway, or Stratton please feel free to email me and I would be more than happy to assist you in any way possible. You may find some useful information with our neighborhood community information tool. This is a great resource offering this communities characteristics, maps, aerial & "birds eye" views, nearby schools and school information and nearby attractions and amenities. The chart to the right shows the total number of home sales for the entire Southwest area year over year. This helps give a very basic feel for home sale activity trends in the broader Southwest area. The chart to the right shows the year over year average sales price for homes in the broader Southwest area. This shows the basic trend of home values for the entire Southwest area.